CHICAGO, Sept. 4, 2018 /PRNewswire/ -- CareerBuilder, one of the largest independent technology companies providing "hello to hire™" HR solutions to global customers, today announced the implementation of its leadership succession plan. Irina Novoselsky, who joined CareerBuilder in October 2017 as President and Chief Operating Officer, is being named the Company's Chief Executive Officer. Matt Ferguson, following 14 years as Chief Executive Officer, will assume the role of Executive Chairman effective today, helping to oversee the Company's continued evolution as it invests in mobile, artificial intelligence and machine learning to provide innovative end-to-end employment and HR solutions. "I'm very proud of what we've accomplished as a team," Ferguson said. "For nearly 25 years, CareerBuilder has been instrumental in transforming the HR industry. We led the way in online recruiting, and now we offer our customers a single destination to help them find, manage, screen and onboard talent," said Ferguson. "CareerBuilder has served millions of job seekers, employees and businesses worldwide – and we've built a strong and enduring culture that is poised to disrupt this industry again. With Irina assuming the CEO role, we have a determined, passionate leader to take CareerBuilder's strategy and innovative technology solutions to the next level, and continue helping people and businesses succeed in the new world of work. All the pieces are in place, and the time is right for me to transition the CEO role and continue to serve as Executive Chairman." 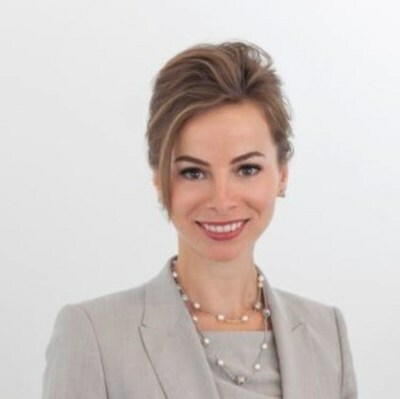 "Irina is a talented tech executive with the perfect complement of skills to further establish CareerBuilder as the innovative partner of choice in the competitive HR tech space," said David Sambur, Senior Partner of majority shareholder Apollo Global Management and current Chairman of the CareerBuilder board. "I also want to thank Matt for his 14 years of service and I look forward to his continued leadership as our new Executive Chairman." "I'm honored to be at the helm of a company with such a long heritage of innovation, service excellence and talented people," said Novoselsky. "Our strength in online recruitment – combined with new, AI-powered solutions that span the end-to-end candidate and recruiter experience – puts CareerBuilder in a unique position to help our global customers improve their workflows, integrate their processes to drive profitability, increase productivity and maximize business results. Today's HR teams are being asked to do more with less, and CareerBuilder's industry-leading technology and services can help them." Novoselsky has built a reputation as an effective leader – leading companies through digital change and driving new sources of growth. Before joining CareerBuilder in 2017, Novoselsky served as CFO and then President of Novitex Enterprise Solutions – turning the 9,000-person company into a modern, tech-based services firm that experienced double-digit growth. Prior to Novitex, she was an Investment Strategist at Dubin & Co., an investment professional at Apollo Global Management in the Private Equity Group and an investment banker at Morgan Stanley in the M&A group. CareerBuilder is a global technology company that provides end-to-end HR solutions to help employers find, hire and onboard great talent, and helps job seekers build new skills and progressive careers as the modern world of work changes. A known disruptor for nearly 25 years, CareerBuilder is the only company that offers both software and services to cover every step of the "hello to hire™" process, enabling its customers to free up valuable resources across their HR tech supply chain to drive their business forward. Specializing in talent acquisition recruiting platforms, employment screening and human capital management, CareerBuilder is the largest provider of AI-powered hiring solutions serving the majority of the Fortune 500 across five specialized markets. CareerBuilder is majority-owned by funds managed by affiliates of Apollo Global Management, LLC and operates in the United States, Canada, Europe and Asia. For more information, visit www.careerbuilder.com.